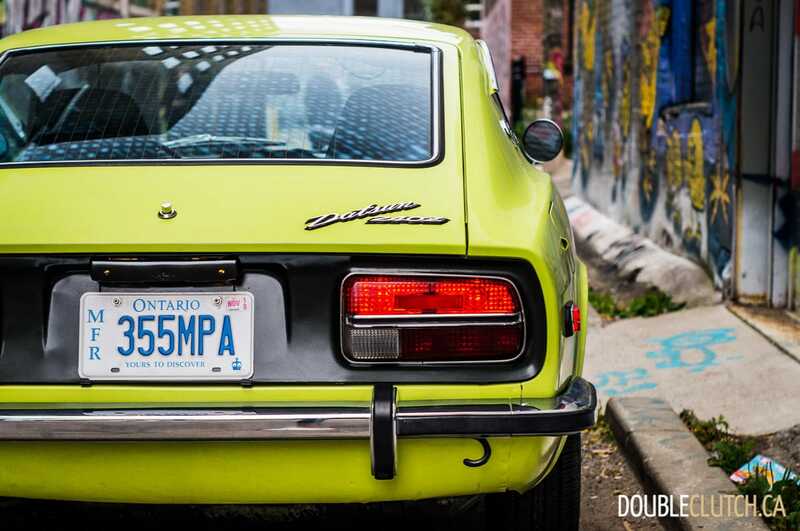 There was a slight sense of bewilderment upon getting into this particular week’s test car. 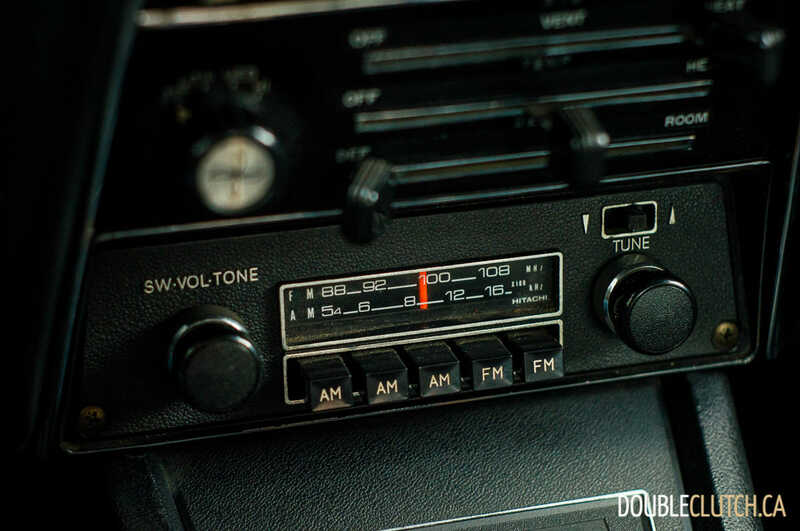 Normally, there’s the ordinary resetting of trip odometers, pairing of smartphone Bluetooth, and setting seat memory for the next seven days. 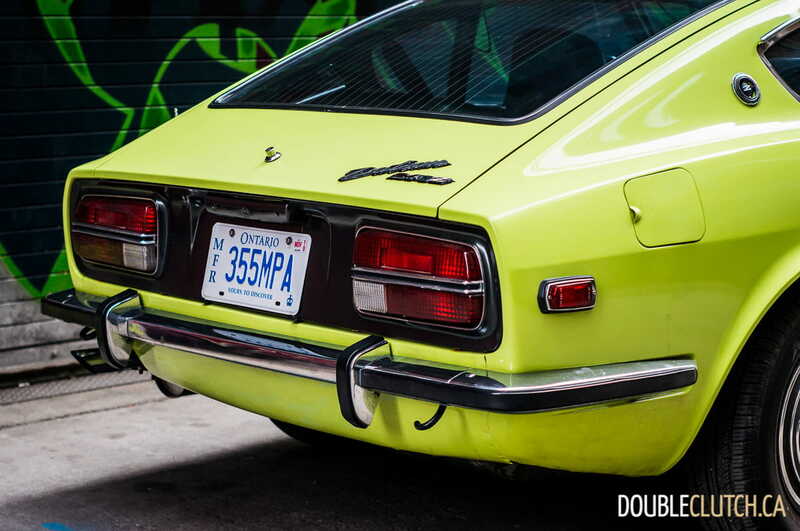 That wasn’t so this time around, and the car that Nissan Canada served up for testing was a little different from anything else I’ve driven in the past. 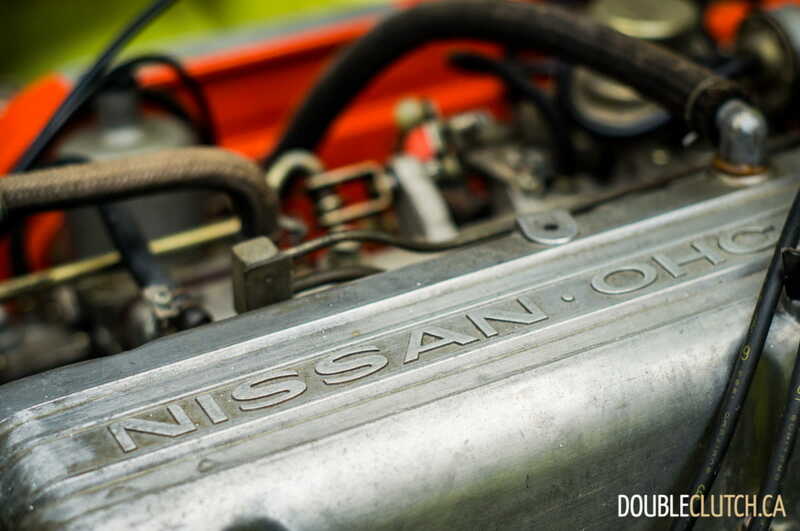 Pull the lever. 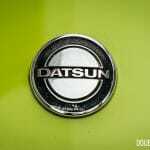 Choke? 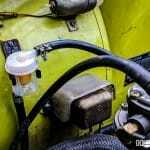 Carburetor? 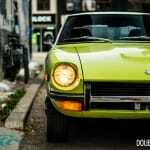 Suddenly, I felt a little more millennial than I ever have before. 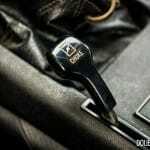 No clutch interlock. 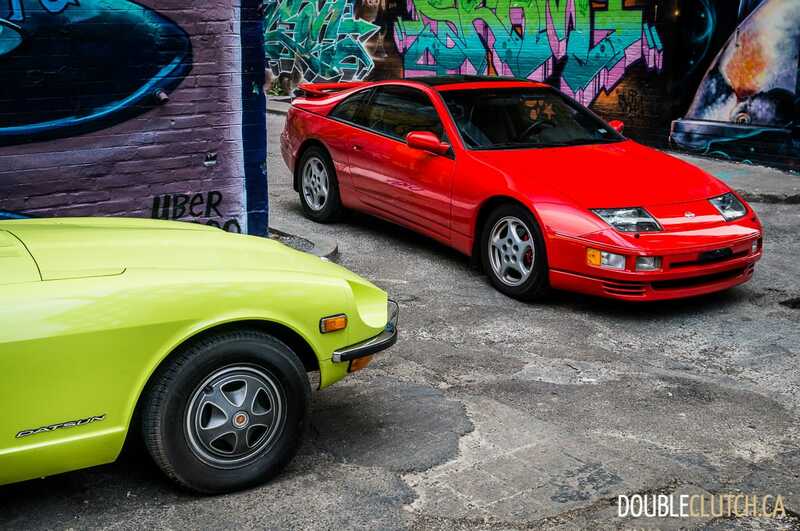 Okay, are we in neutral? 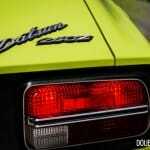 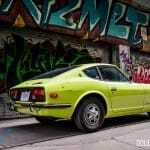 The 1972 Datsun 240Z turns over and springs to life with a few sputters, and the smell of exhaust fumes with plenty of unburnt gas fills the air. 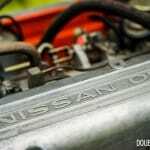 This is how things used to be, in the days before catalytic converters and also before electronic fuel injection came into the picture to better control the combustion process. 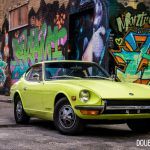 Leaded fuel used to be a thing in this era, too, and while the 240Z’s valve seats may not appreciate it, getting into this time capsule reminded me how cars have come a long way after nearly half a century – the S30 chassis first debuted for model year 1970. 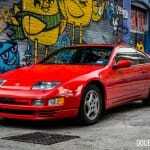 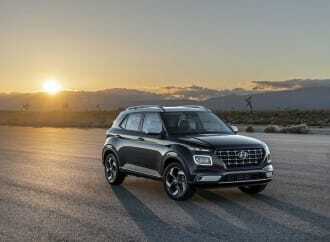 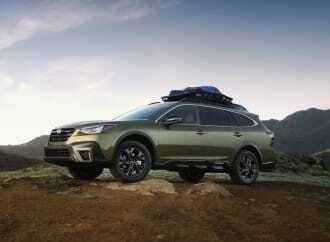 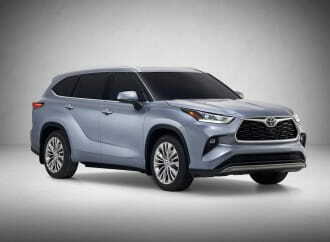 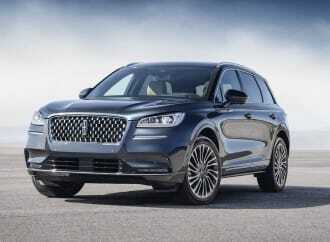 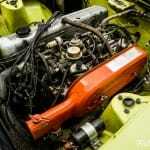 The 2.4-litre inline six under the forward-opening “clamshell” hood punched out 150 horsepower at 5,600RPM and 146 lb-ft. of torque at 4,400RPM, both given under the old Society of Automotive Engineers (SAE) gross convention of power ratings. 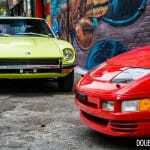 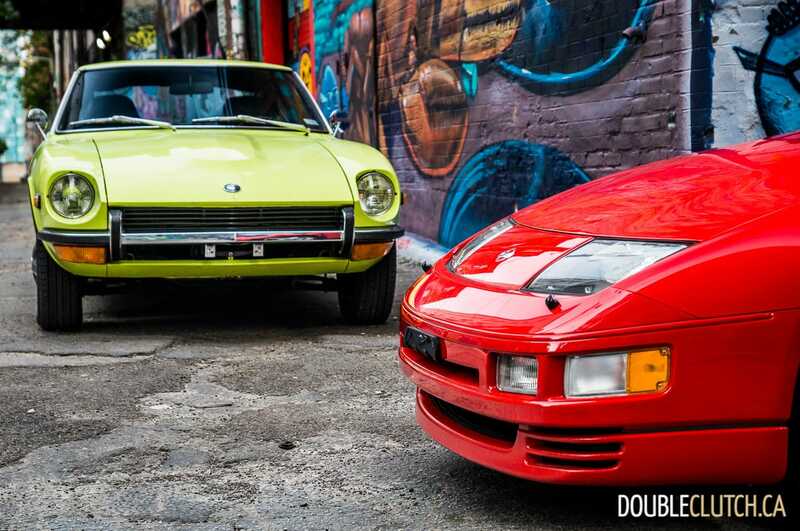 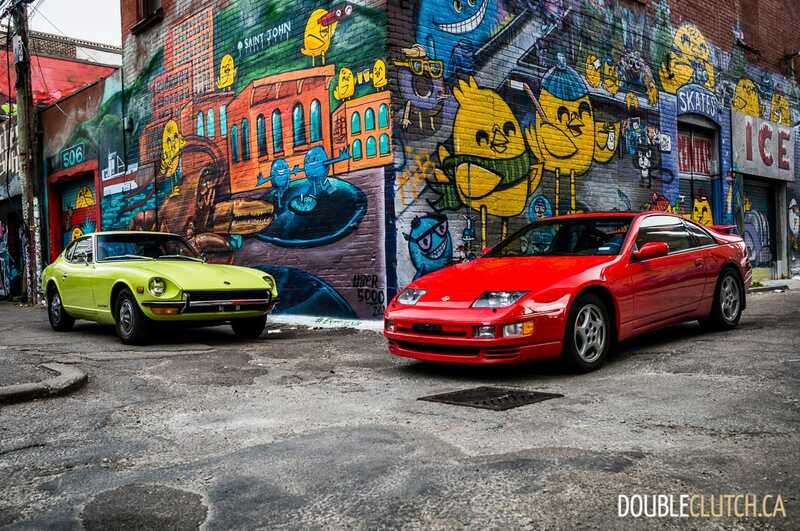 Today’s method would take into account diminished power output with accessories such as air filters, exhaust system, and an alternator all in the mix, but that’s no matter: the 240Z tips the scales in the neighbourhood of 2,300 pounds (1,043 kilograms). 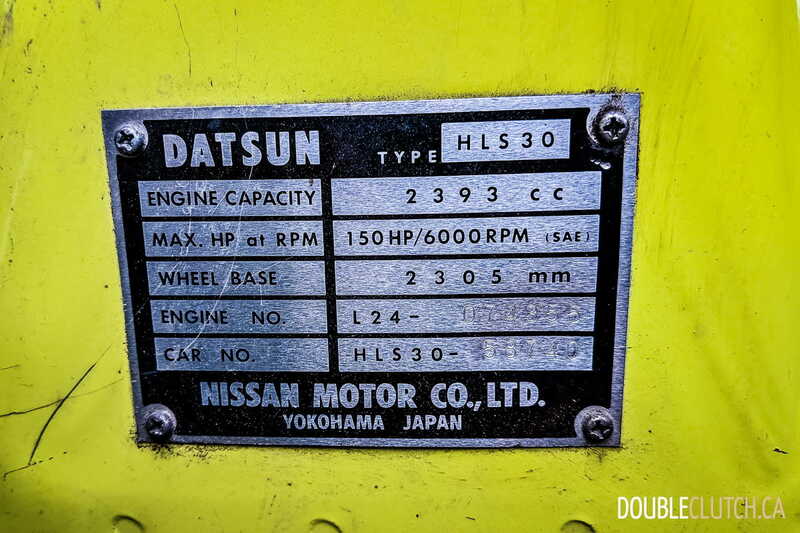 What’s also immediately apparent is the sweet singing nature of the fully mechanical power plant: there isn’t really much of anything that sounds quite this good. 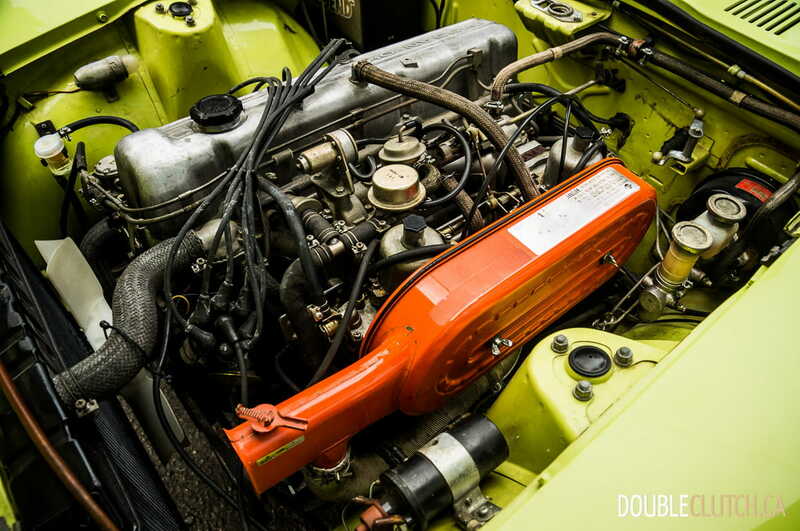 With its single overhead camshaft, twin Hitachi-made SU style carburetors, two valves per cylinder, and 9.0:1 compression, the iron-block, aluminum-head L24 engine is naturally balanced and pulls through the rev range with awesome smoothness. 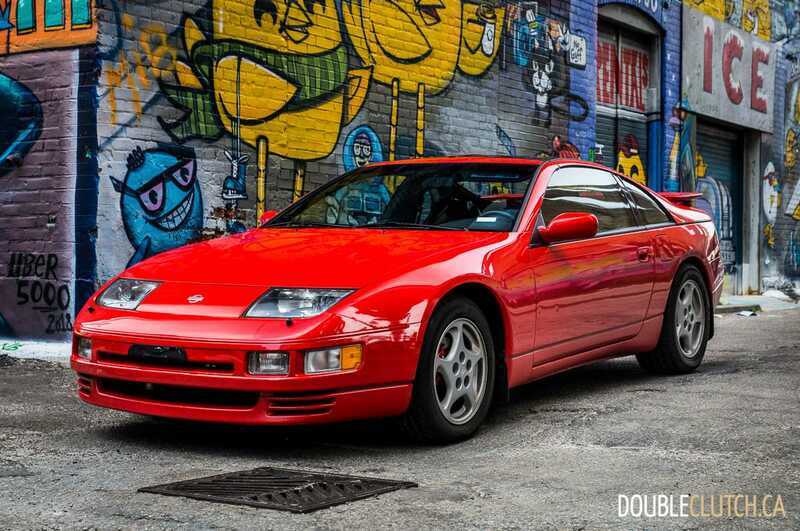 It’s got a fat midrange coupled to a 7,000RPM redline top end that keeps begging for more – this is truly good stuff. 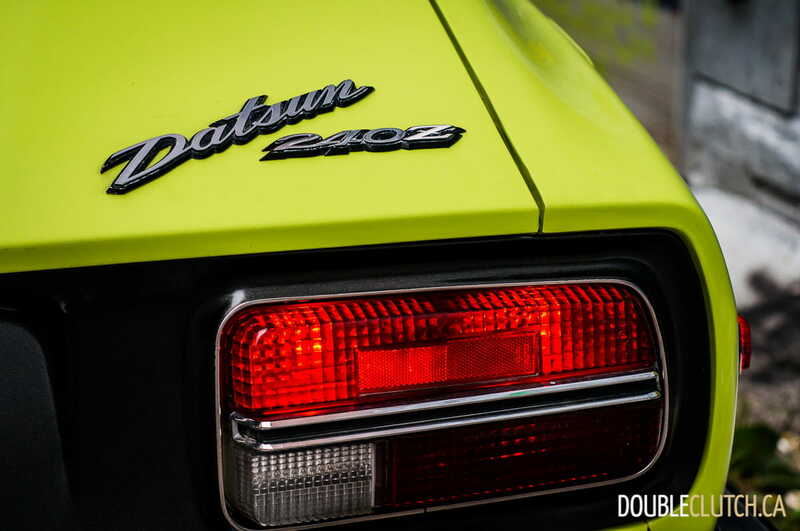 Later years saw displacement increases to 2.6 and 2.8-litres, which brought more power and name changes to 260Z and 280Z, respectively. 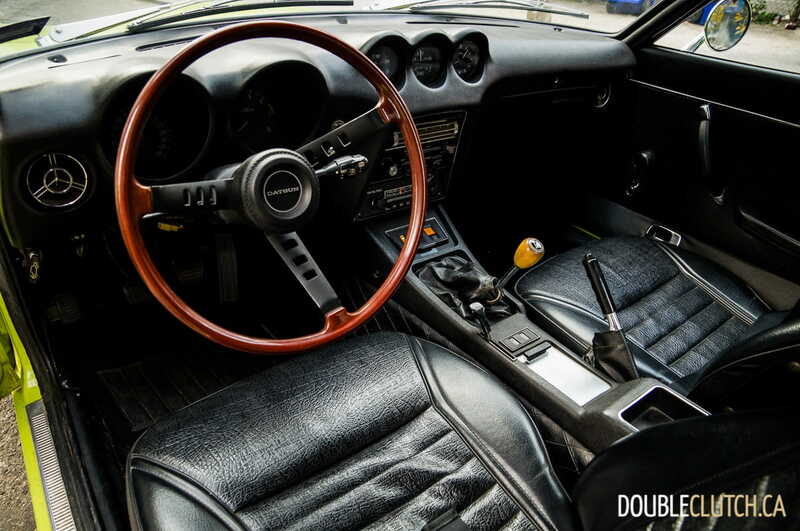 A four-speed manual does gear shifting duty in this 240Z, although a five-speed was available in other markets outside of North America. 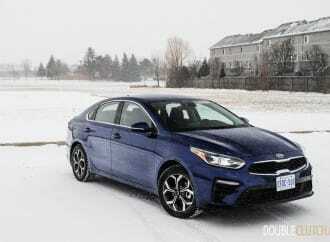 With its 3.36 final drive ratio, the gears are short, but still very workable in both low and high-speed endeavours. 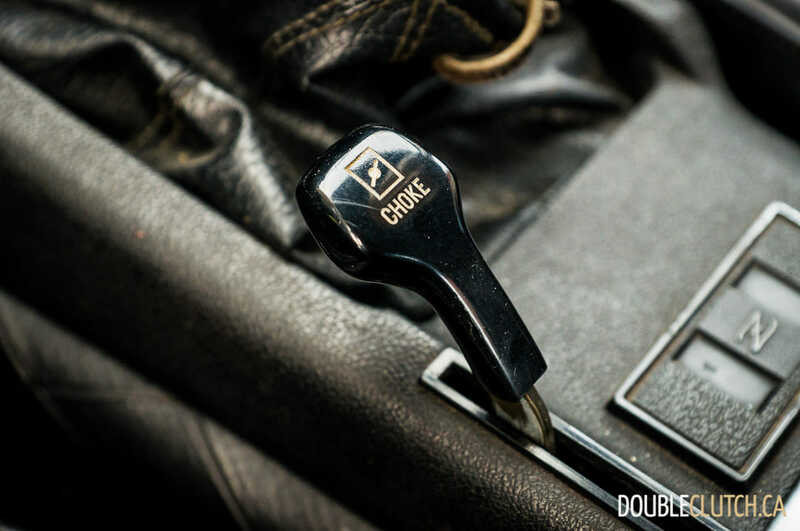 The clutch is hydraulically actuated and easy to modulate, which is much more than can be said for cable-operated leg workouts of the era. 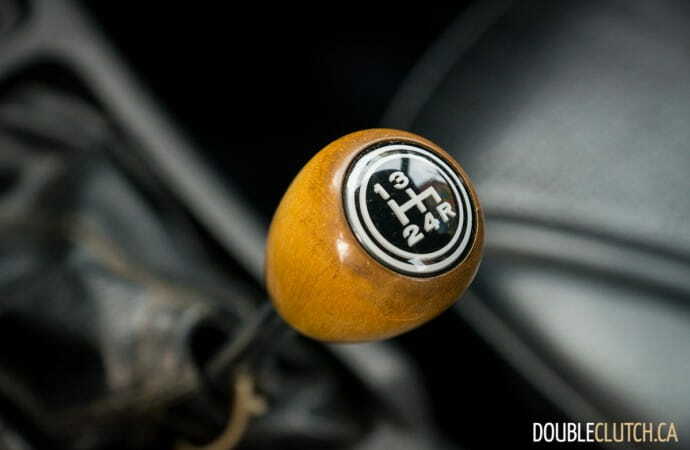 The shifter action is very direct and deliberate feeling, with every synchronizer operation felt through the wooden shift knob. 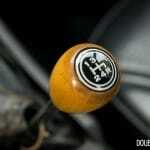 It takes a little bit of time before a shifting rhythm is established, where car and driver really become one. This is a transmission that is wonderful to operate, but cannot be rushed. 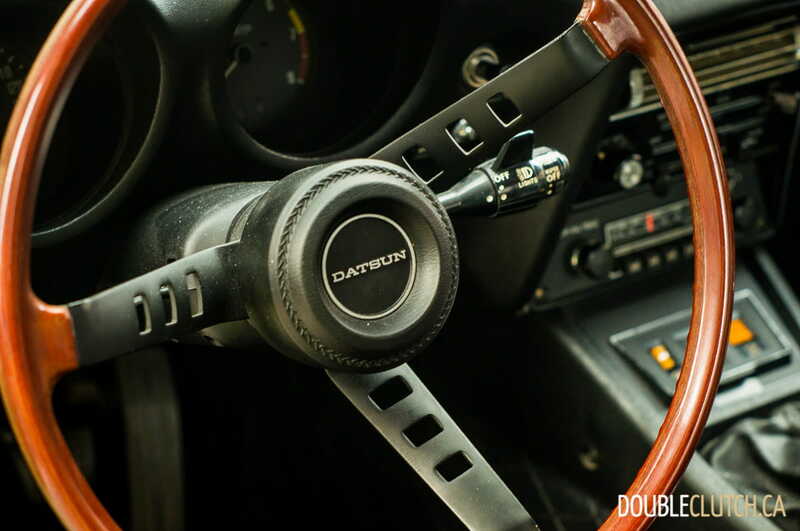 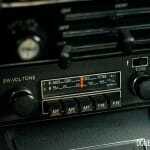 Continuing on with the mechanical feels, the old Datsun’s steering is unassisted, leaving out power assist systems that tend to completely drain on the connection between the wheel and the road. 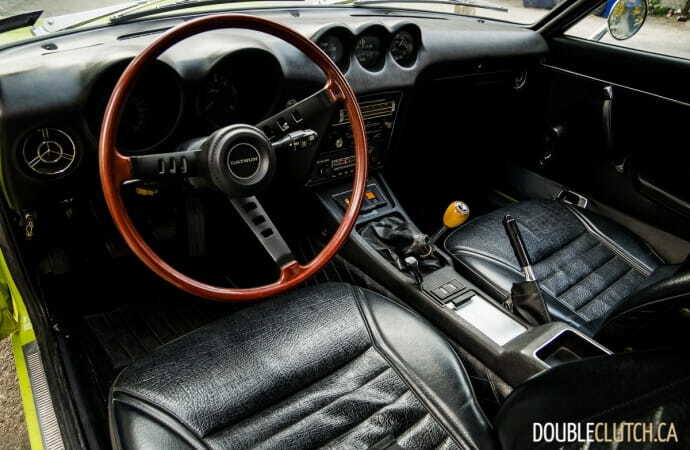 Like the shift knob, the steering wheel is also wooden, and the large diameter, thin rim design helps with maneuverability when strong-arming it. 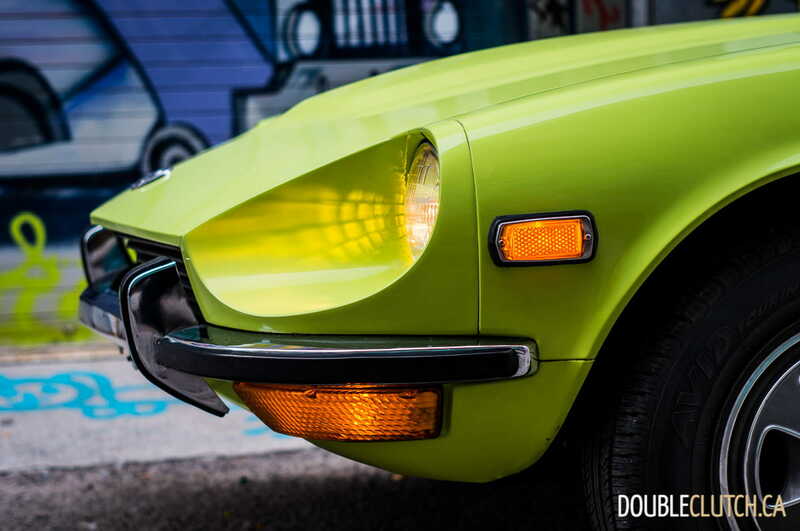 When cornering, every piece of information from the road passes through the chassis and into your fingertips, and it’s very easy to hustle the 240Z knowing that the car is telling you everything you need to know about what the front wheels are doing. 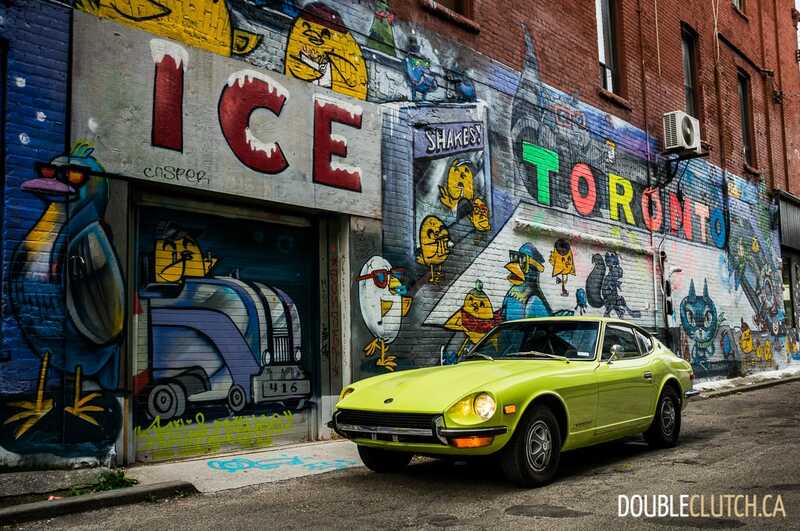 The 240Z comes originally equipped with 195/70R14 tires (although the test car was equipped with slightly narrower 185/70R14) which are space-saving donuts relative to today’s standards, but the squirm and flex matches the old car well. 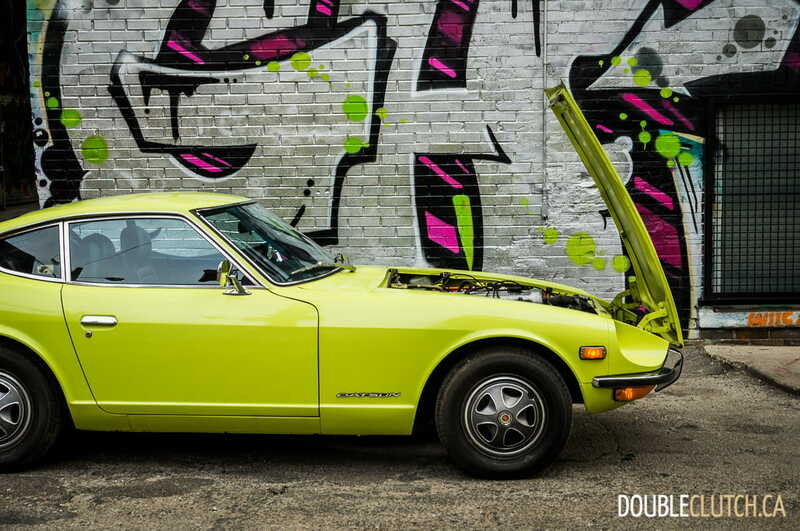 Switching out to a wider wheel and tire package ought to be a quick way to greatly improve performance, but it’s not completely necessary to have a good time in the S30. 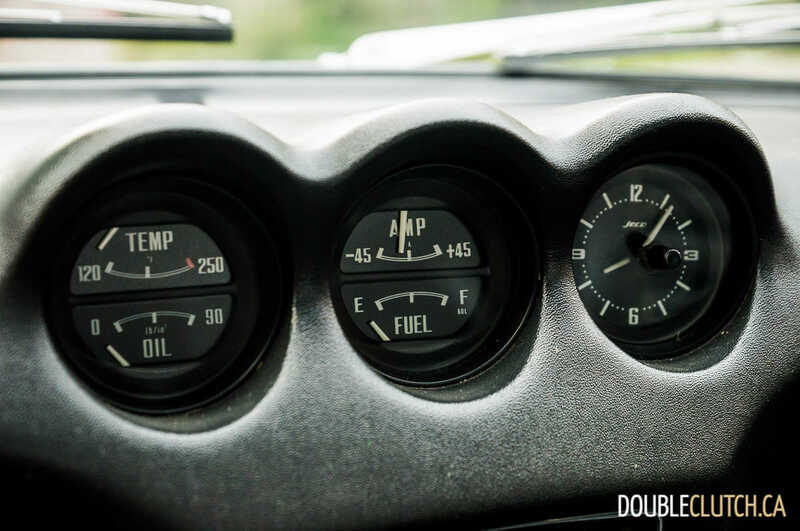 Braking is power assisted but still takes a good amount of effort on the pedal; stopping distances will be relatively long, but it’s easily modulated and the feel through the steering is translated almost as well to the brakes. 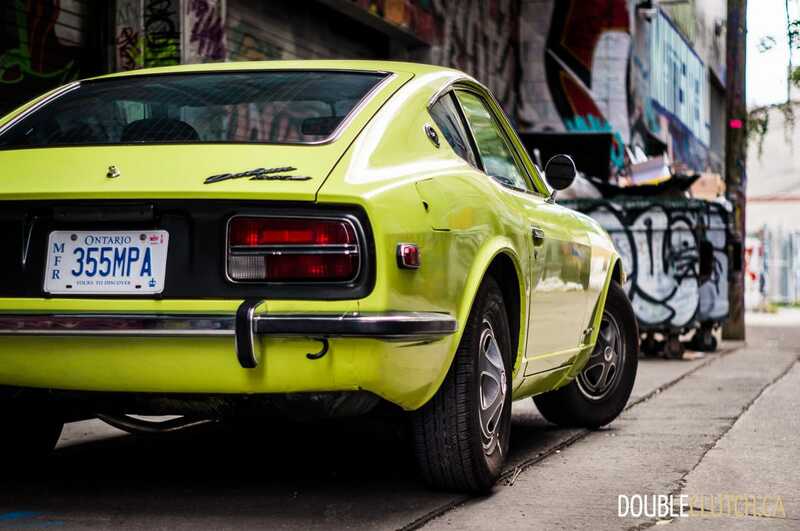 The interior of the Datsun 240Z is a source of proper classic styling that has withstood the test of time. The pod-style central and driver’s gauge cluster are a clear influence for the more modern 350 and 370Z cars, and everything is built in a solid way that inspires confidence. 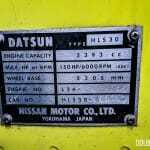 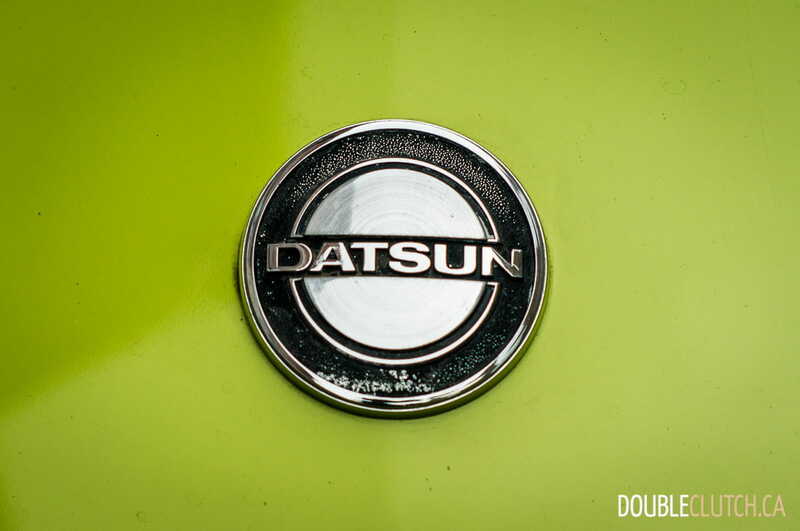 It was a siren song for Japanese automakers coming to Canada and the United States, and once they figured out corrosion resistance, the likes of Datsun (later Nissan) became unstoppable juggernauts in the global automotive landscape. 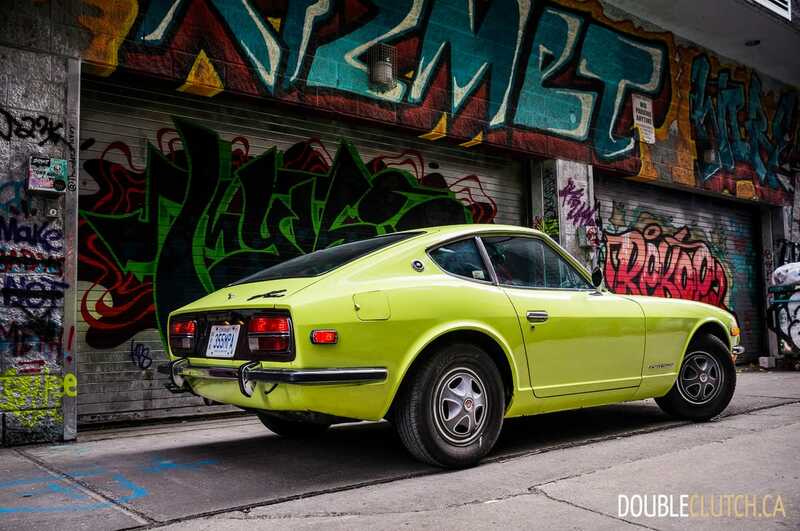 Unfortunately, S30 Z-cars between 1970 and 1978 weren’t really designed for the harsher climate, and wound up being biodegradable, with floor pans and frame rails that rotted out and returned to the earth. 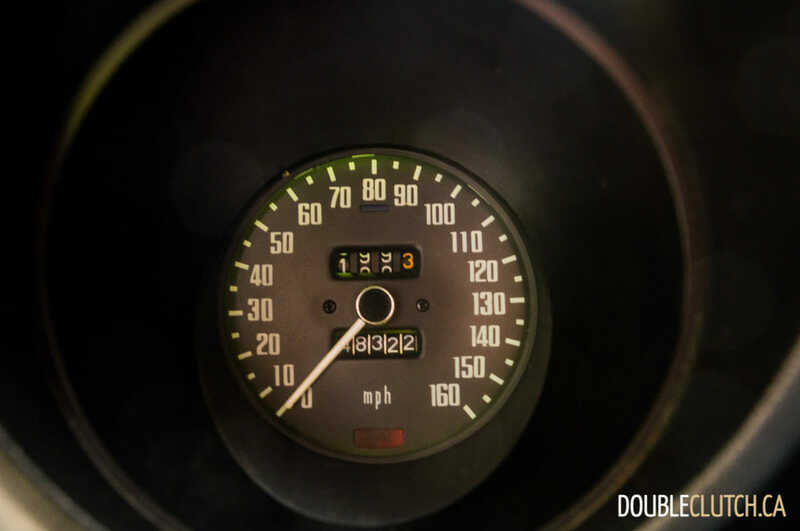 The full week of testing didn’t come without any hiccups however, as the 48,000 mile, 46 year old car tended to act its age at times. 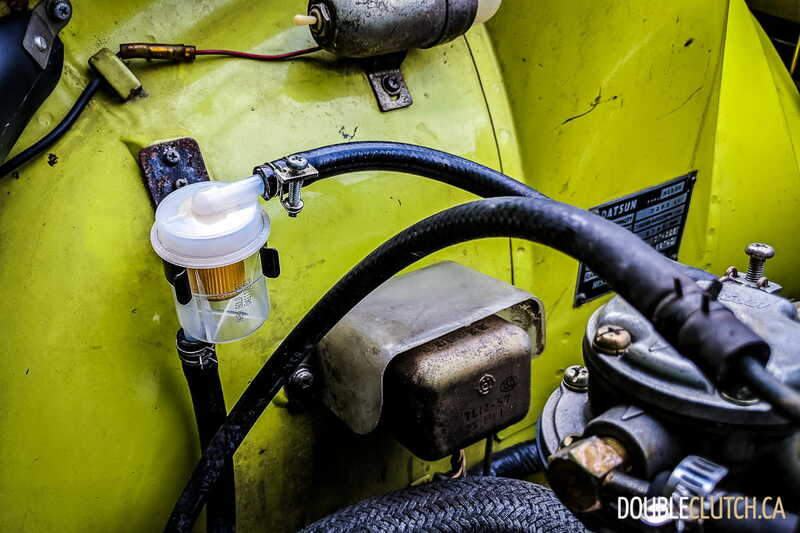 Due to some corrosion within the fuel tank, rust flakes made it through the lines and clogged the filter, resulting in rough running and a lack of power. 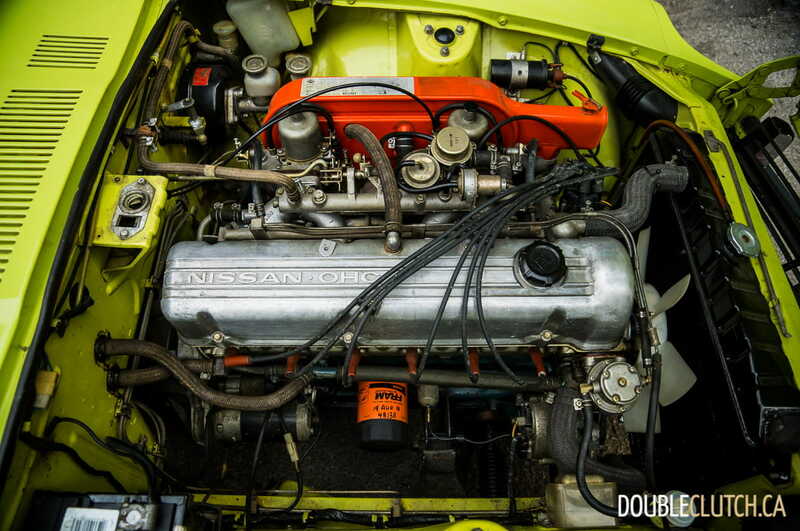 Thankfully, the simplicity of old cars made the diagnosis possible within minutes, due to the fact that the fuel filter was in plain sight in the engine bay. 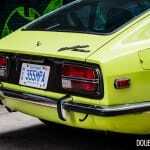 Parts availability for a fuel filter was better than expected for a Saturday morning, and a local parts supplier had a filter in stock for no more than the cost of a latte at your favourite local coffee shop. 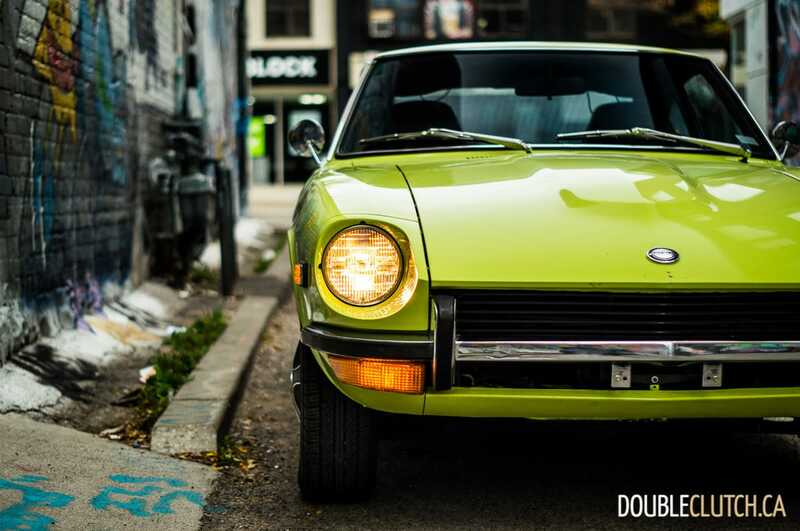 Regardless of the ravages of time and advances of humanity, the 1972 Datsun 240Z is the kind of car that delivers motoring pleasure that stacks up well against anything out there, all the while possessing reliability and styling that was second to none. 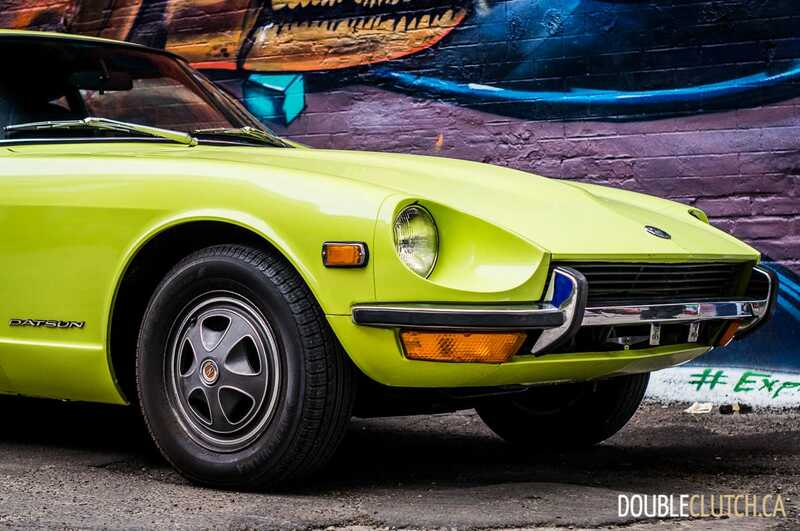 There are some elements of the Jaguar XK-E in its look, and considering that the Jag is objectively one of the most beautiful cars of all time, this is not a bad thing. 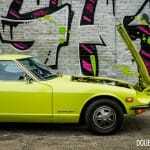 The S30 chassis between 1970 and 1978 is quickly becoming a sought after car by enthusiasts, and values are increasing accordingly for clean, rust-free examples. 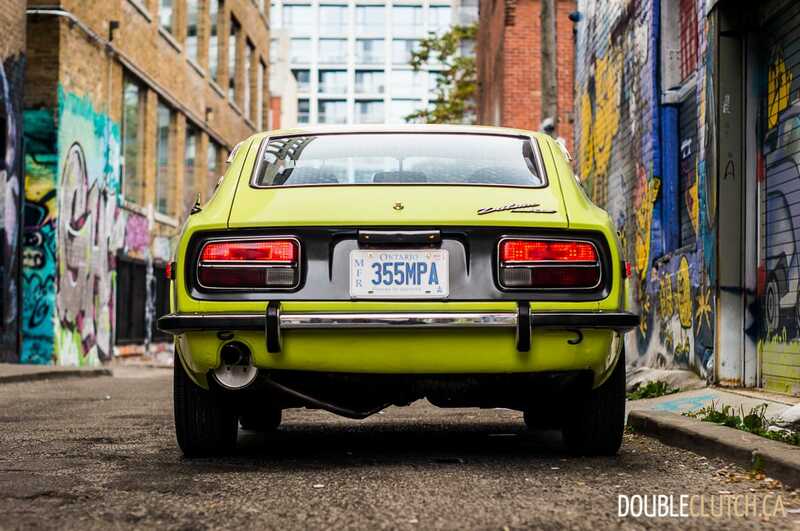 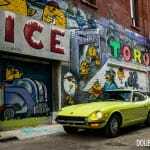 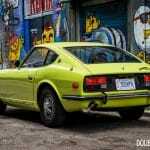 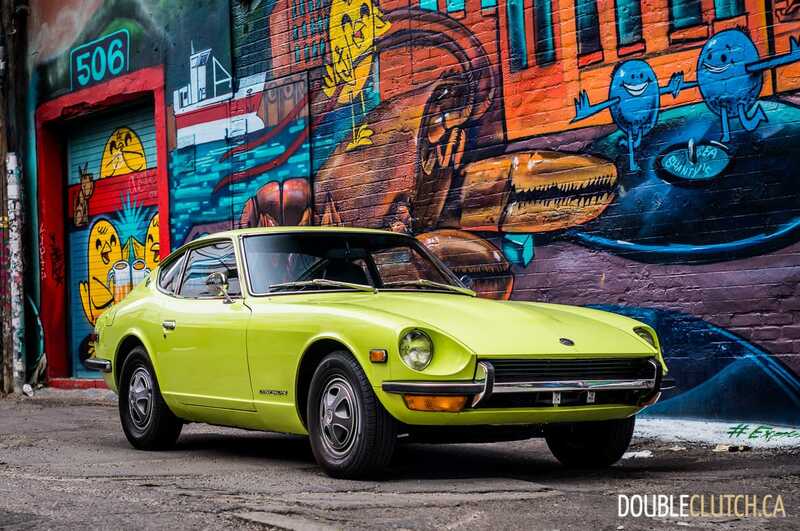 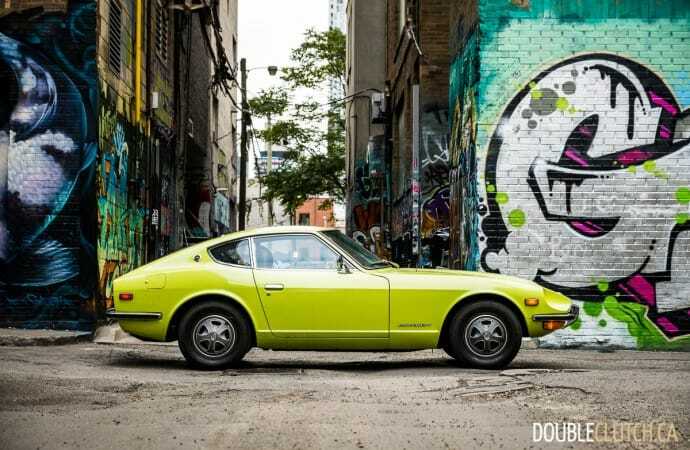 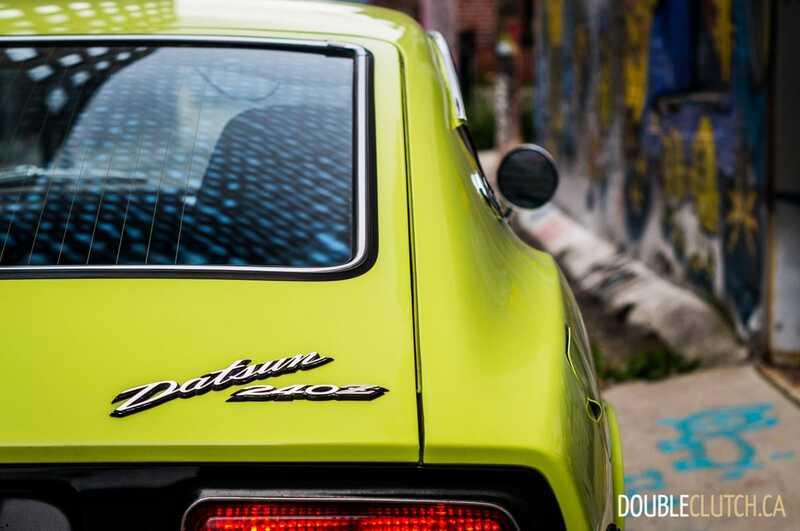 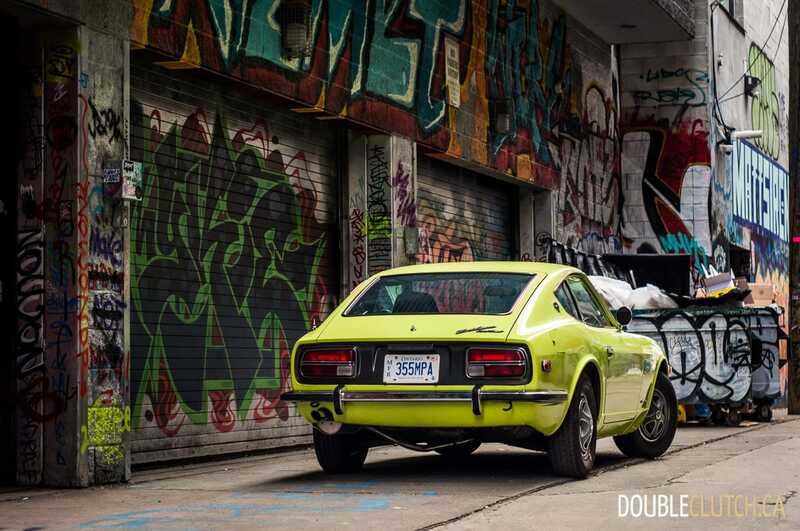 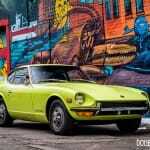 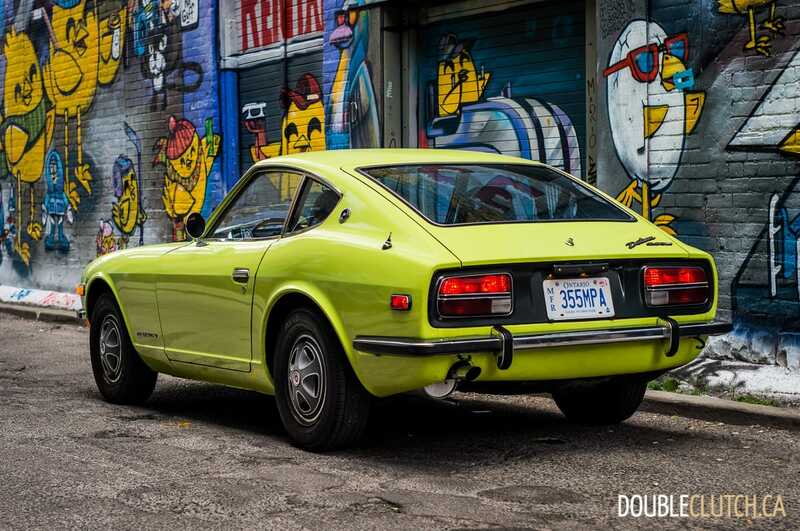 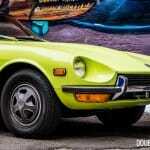 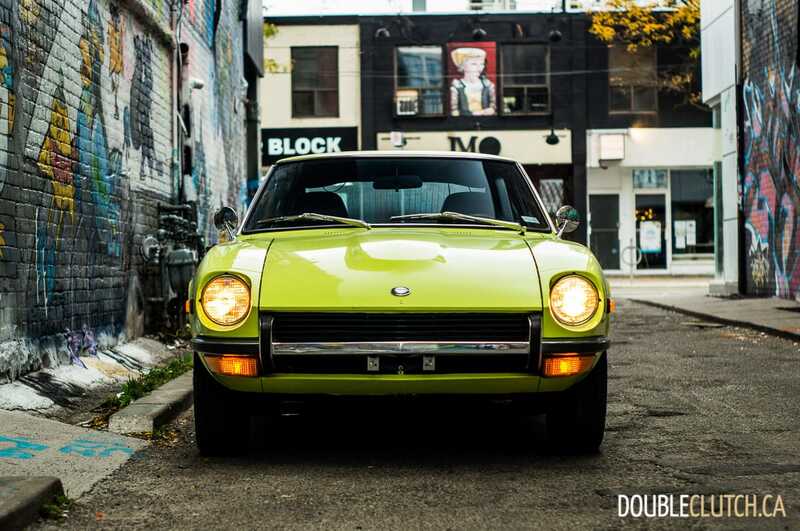 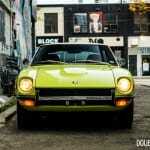 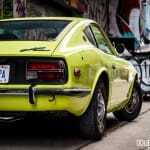 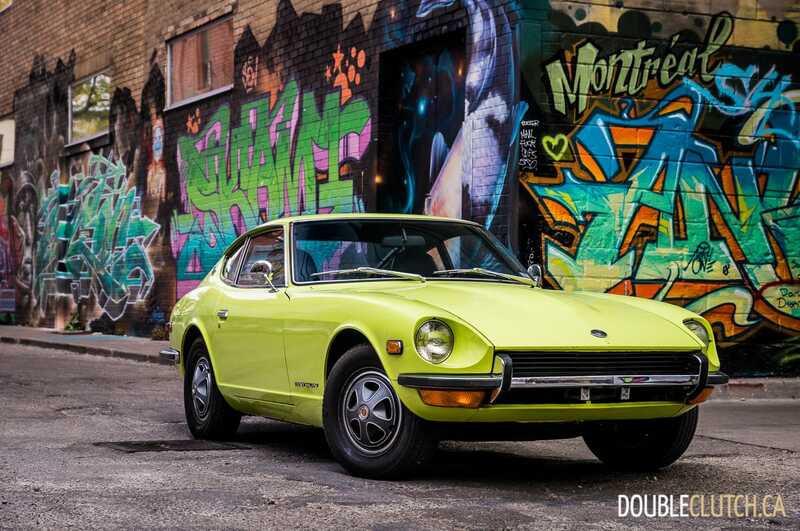 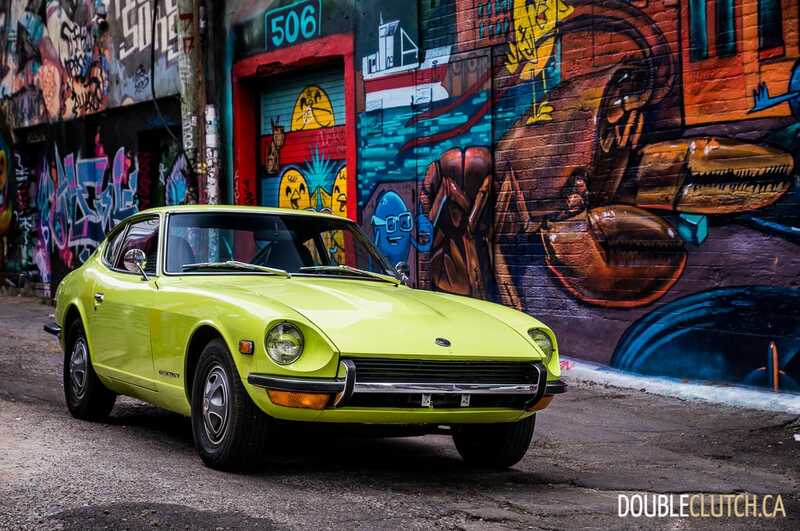 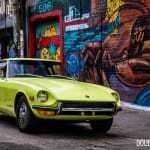 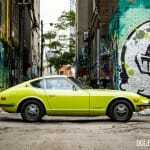 This Lime green example owned by Nissan Canada is a wonderful specimen, and needs to be preserved as much as possible for future generations to enjoy.